A political skirmish has emerged in Connecticut regarding that state’s future plans for legalized sports betting in the event the activity becomes legal in the near future, pitting the state’s two major tribal casinos, Foxwoods and Mohegan Sun, against state officials. 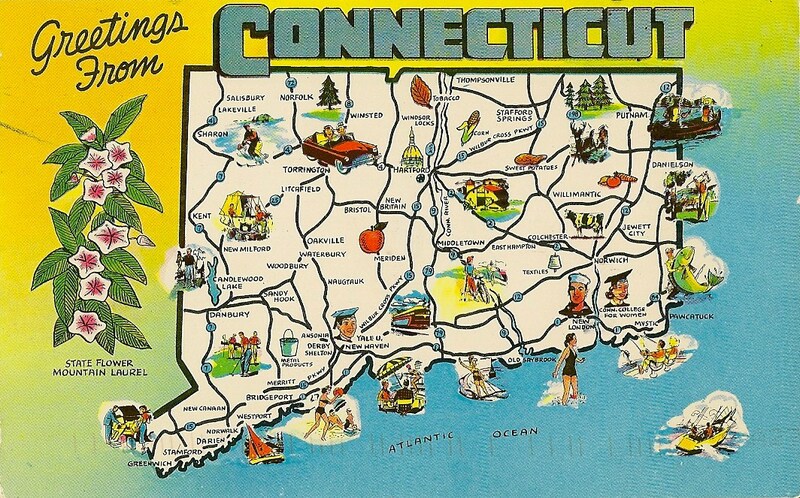 Connecticut is one of numerous US states keeping a close watch on the upcoming US Supreme Court ruling in the “Christie II” case pitting New Jersey against five major US sports associations, with the legality of the US’s federal-level PASPA ban against sports betting at stake. Should New Jersey prevail in its appeal, then PASPA (the Professional and Amateur Sports Protection Act), will fall, either entirely or in part, opening up the door to legalized sports betting in any US state that wishes to authorize the activity. In Connecticut’s case, that day might come sooner rather than later. As with a handful of other US states, the Nutmeg State already has several active sports-betting bills under consideration. It’s the declaration within one of these bills that Foxwoods and Mohegan Sun do not currently have the right to operate a sportsbook, even if PASPA goes away and Connecticut approves sports betting, that has the two tribes fighting mad, even threatening to withhold tax payments from their casino operations as agreed upon in their compacts . The issue, noted within one of the sports-betting bills under consideration in the state, is that the two large tribal casinos wouldn’t be allowed to run sportsbooks because (a), the casinos are on tribal, not state, land, and (b) sports betting is a Class III gaming activity not covered by the state’s current compacts with the casinos. This has the casinos arguing that the sale of sports-wagering tickets through electronic machines, such as an automated kiosk or even a sportsbook clerk’s terminal, constitutes “commercial casino gaming”. And, to push the assertion further, not only do they have the right to offer sports wagering in the event of legalization, they might even have exclusive rights to it. The casinos’ legal claims are dubious but untested. With the money that’s potentially at stake, that’s enough to start a fight. Among the several sports-wagering bills currently active in Connecticut’s legislature are House Bill 5307 (HB5307) and Senate Bill 540 (SB540). The House bill is technically further along its procedural path, having passed subcommittee and administrative-review hurdles, and it was recently tabled, or held back from further consideration, pending future developments such as SCOTUS’s ruling in the New Jersey case. However, HB5307 is just a placeholder bill. The real action is over in SB540, a measure introduced by the Senate’s Finance, Revenue and Bonding Committee, in conjunction with the Connecticut Lottery Corporation (CLC). SB540 finds a way to list several categories of business outlets that might be authorized by the state to operate as sportsbooks, then finds ways to disqualify them, leaving only the state lottery and a smattering of OTB (off track betting) outlets as likely to be authorized. The latter boldface is ours. This bill also approves online lottery sales for CLC’s lottery offerings, and that would naturally be extended to include online sportsbook sales. As for CLC not having any physical outlets of its own, sports betting could be the impetus for the creation of such outlets, though online-sales exclusivity is probably the biggie in CLC’s eyes. Connecticut does have some “race tracks”, but those are for vehicles, and aren’t of the pari-mutuel wagering variety. The last fee jai alai frontons in Connecticut were converted to OTB parlors years ago, and there are only a couple dozen of those OTB parlors are scattered throughout Connecticut, a very small state in terms of physical size. In other words, what with Foxwoods and Mohegan Sun also not being included, SB540 is a big push on behalf of Connecticut’s own lottery. SB540’s sponsor, the Senate Finance, Revenue and Bonding Committee, also issued a “Joint Favorable Report” on Monday, moving the bill on for further consideration. 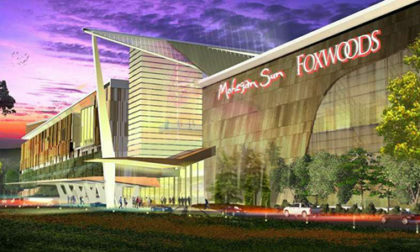 That report lists both Mohegan Sun and Foxwoods as favoring the bill, though the report noted that both casinos had “caveats” about certain of the bill’s provisions. Those caveats turned out to be quite large, given what happened next. Later on Monday, the Connecticut Post reported that the two casinos had threatened to turn off their casino-generated slots revenue payments to the state, if sports betting was approved. But the CTPost piece never specified the bill nor the inclusion causing the ruckus, nor did other stories, such as this one that made syndicated news broadcasts across the US. Given that the two casinos combine to add $250 million annual to Connecticut’s coffers, it’s a big deal to all involved. “If the state authorizes video facsimile gaming, the exclusivity provisions of (the compacts) would be violated and our obligations to make the slot contributions cease,” Mohegan Attorney General Helga Woods, told the Connecticut Post. Many Connecticut lawmakers likely knew this confrontation was coming. One of the sponsors of the placeholder House bill, Speaker of the House Joe Aresimowicz, sought an opinion on several of the issues raised by considering sports-betting legalization. Aresimowicz contacted CT Attorney General George Jepsen, whose mid-April response on the matter included many key points, most specifically on the tribal-gaming matter. Connecticut’s agreements with the Tribes require the legislature to carefully consider a number of factors before legalizing sports wagering. In the event PASPA is struck down and state law continues to prohibit sports wagering (as it presently does), because sports wagering is a Class III game under federal law and is not an authorized game under either of the respective Compacts, the Tribes would still be prohibited from conducting sports wagering on their reservations. Moreover, it is our opinion that if sports betting were to become lawful in Connecticut, the Tribes would not have an exclusive right under the existing Compacts and MOUs (Memoranda of Understanding) to offer it. The Compacts set out a list of authorized games. … Sports betting is not listed as an authorized game. By contrast, for example, pari-mutuel betting on horse and dog racing and jai alai games are authorized games. The exclusion of sports betting from the specific list of authorized games is compelling evidence that the Compacts do not presently authorize it. … Amendments to the Compacts would be necessary to authorize the Tribe’s sports betting, as contemplated under section 17 of the Compacts. Thus, our opinion is that the Compacts do not presently authorize the Tribes to conduct sports betting on their reservations. Nor are we aware of any other federal or state law that would be a basis for the Tribes to assert an exclusive right over sports betting. The Tribes may argue, however, that a state law permitting sports wagering in Connecticut would violate the exclusivity provisions of the MOUs. Those provisions state that the Tribes are relieved of their obligation to pay the State a portion of the gross operating revenues from the operation of video facsimiles of games of chance on their reservations if state law is changed to permit “video facsimiles or other commercial casino games.” Although it is our view that sports wagering is not a video facsimile, whether it is a “commercial casino game” is an open question. That term is not defined in the MOUs or Compacts. How a court might resolve that question is uncertain. If the state passed a law permitting sports wagering and a court concluded that it does constitute a commercial casino game, the Tribes could cease making payments to the State under the MOUs. In that event, however, the Tribes and the State would be restored to their respective rights under the Compact moratoria. Under those moratoria, the Tribe’s authority to operate slot machines and other video facsimiles of games of chance on their respective reservations would remain an unresolved legal question, as it was prior to the time the MOUs were entered. Despite the potential lockout of Foxwods and Mohegan Sun if sports betting is legalized in Connecticut, Rep. Aresimowicz immediately began soothing hurt feelings. “The tribes have been great partners and I’m sure we will have conversations,” Aresimowicz told CTPost. The issue is likely to be resolved amicably, if PASPA circumstances allow. 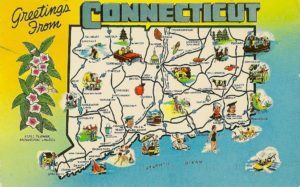 However, the Connecticut story may well be the first of dozens of state-level compact battles between tribal casinos and state governments as a lucrative new revenue stream appears.